Be Happy! 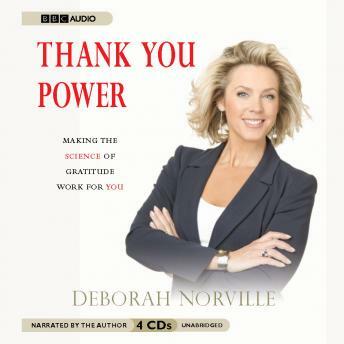 In Thank You Power, journalist Deborah Norville uses her reporting skills to highlight the exciting research that proves that life improvements can stem from the practice of gratitude. Thank You Power is the extraordinary force that comes simply from acknowledging the "good things" in life. Beginning with the regular practice of counting one's blessings and feeling thankful for them, one can become healthier, happier, smarter, more resilient, and even able to undo the negative effects of stress.